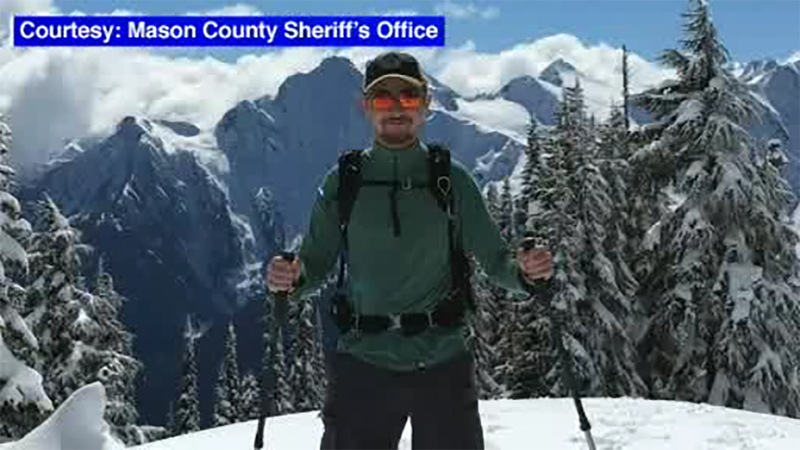 PORT ANGELES, Washington -- Officials have suspended their search for two men missing in Washington state's Olympic National Park, including a 20-year-old hiker from New Jersey missing for the past week. Search teams were hindered by bad weather and severe avalanche danger. Teams on Friday night did see footprints that entered an area hit by a slide, but couldn't confirm the prints were Krull's, The Peninsula Daily News reported (https://goo.gl/1JjQU2 ). Over the weekend more than 70 people searched the area, including air support from Whidbey Island and King County, said Mason County Sheriff's Lt. Jason Dracobly. Krull recently transferred to The Evergreen State College in Olympia and wanted to become a park ranger, said his father, Stewart Krull. He's also a skilled photographer, a music producer and a Mets fan, he said. "He had visited and went camping in the northern Cascades and fell in love with Washington," his father said. "He is very much a person in tune with the wilderness and is never happier than when he's in the outdoors. Zach Krull was well-equipped for what was supposed to be a weekend trip, but he did not have an avalanche beacon. "I think his enthusiasm just got the better of him and he didn't know how treacherous Olympic National Park and Olympic National Forest can be," his father said. Officials have also called off a search for 22-year-old Jacob Gray, of Bellevue, Washington, who went missing April 5. His bicycle and trailer full of camping gear were found on the road to the Sol Duc hot springs. About 30 people searched for Gray over the weekend in teams led by Clallam County Search and Rescue, said Clallam County Sheriff's Chief Criminal Deputy Brian King. They used three cadaver and scent dogs to search the area, but found no evidence of Gray, he said.